The winter of woes, crows and crisis. Can our NHS survive much longer under government? So, Jeremy Hunt has had to apologise, once again, for issues within the NHS. This time it’s postponed and cancelled operations: we are in a ‘winter crisis.’ However, seeing Mr Hunt on my screen saying sorry is starting to feel like a broken record, and a more depressing version of that Nick Clegg remix. During an interview with Sky News (https://news.sky.com/story/jeremy-hunt-apologises-for-cancelled-operations-as-theresa-may-denies-nhs-crisis-11194253) on the 3rd January, he explained that the NHS has “long-term funding issues that we have to address as a society” and supposedly our ageing population is making the strain even worse. News coverage surrounding the NHS appears limited to the apocalyptic; underpaid and overworked staff, insufficient resources, cuts to funding and the spectre of privatisation growing evermore omnipotent. Of course, I am not for a second, going to suggest the structural deficiencies of the NHS are the complete fault of the Conservative government. Essentially, ever since its creation there have been funding issues, the problem is they have done nothing useful to help abate issues, they have simply added more fuel to the fire. Theresa May has apologised over this crisis and Mr Hunt promised in the Sky News interview a ‘planned, methodical and thoughtful’ way of resolving the problem. My analytical brain could have a field day with that tweet. Although, I would never, ever, in a million years praise Mr Blair’s style of government, to me, this is not the response of a man taking responsibility and wanting to make positive change. In reality, it seems like he’s attempting to cover his own arse with the smokescreen of Europe and scapegoat of Mr Blair. It’s the kind of tweet you would expect from the political maestro, Donald Trump. You’d think from Mr Hunt’s response he’d only been in the job ten minutes. No, he has now been Health Secretary for five and a half years! Think what you like about Mr Corbyn, however, just as a micro example of who the public agree with, his tweet received over 6,000 Retweets and 13,000 Likes as I’m writing this. Mr Hunt on the other hand, managed a meagre, 1000 Retweets and 2000 Likes. Of course, the archaic members of our society will just put this down to the reality that many young people support Jeremy Corbyn, and they are the ones that use social media. However, after going through the thousands of responses to Mr Corbyn’s tweet, I found most of them were ‘mature’ adults. In the last year, the awareness around mental health has increased massively: royals, celebrities, students, we’re all calling for change and also promoting the idea that people can stand up and say they’re not ok. Problem is, when they do, they’re left high and dry. During the general election, Theresa May spoke of the ‘burning injustices’ regarding mental illness and earlier in 2017, Mr Hunt unveiled a £150 million fund to tackle the issue of mental health among young people, and a further £1 billion for the sector as a whole. He also promised that those referred from a GP would meet with a specialist within four weeks and for emergency cases, such as those with severe mental health issues and/or those with suicidal attempts/thoughts, within one week. This has not happened. An audit by The Telegraph found that only one in six NHS Trusts were sporadically managing to meet these targets. And another by The Guardian concluded that 80% of providers fear they cannot provide timely, high-quality care. This is caused by rising demand, coupled with decreased resources. Similarly, to the wider winter crisis, whenever these failings are brought up Mr Hunt simply says that more money is going in, eventually, and that this and that study said the NHS is the best healthcare provider in the world. Anyway, it’s three months on, my GP has offered me no support, bar upping my pill dosage, and I was only assessed by a Mental Health Practitioner at the end of December. And despite being told I would be phoned within three days, and then told the Practitioners view on my current state and options regarding treatment, I was actually sent a letter two weeks later. In which I was not given any information regarding the assessment, I was not offered a follow up appointment and I was told I would be starting a group therapy course, with no information regarding what it entailed, potentially, from the end of February. When I rang the centre to enquire about different options, I really did not want to be in group therapy, I was essentially told to like it or lump it. To say I got a little perturbed would be an understatement. Nevertheless, I am lucky, I have a strong support network including my academic advisor and seminar leaders, who have been exceptionally understanding with absences, me breaking down in meetings and constantly requesting extensions. 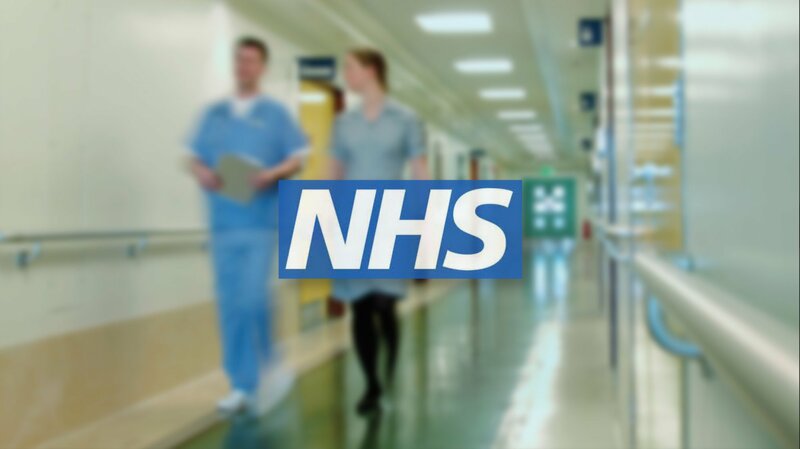 Hopefully, the government will begin to take a more proactive approach towards the NHS. And maybe they’ll realise that providing basic healthcare for its population is more important than making sure Meghan Markle gets to wear Vivienne Westwood.